Steven (Chicagoland, United States) on 19 April 2013 in Plant & Nature and Portfolio. That being said, we're still waiting for Spring to arrive with warmer temperatures. The landscape is still barren here with no daffodils or tulips in bloom, so I post this shot from the Garfield Park Conservatory. Oh man... this yellow is sublime ! Such a beautiful yellow to celebrate spring, when our news is so bleak from your 'neighborhood'. Watching cars being devoured by a sinkhole is far from delilghtful. I'm sure it cannot be too far away, it will probably last for all of a week! The weather looks fine in the conservatory . . lovely blend of yellow. A beautiful celebration of Spring. The colours are wonderful. Beautifully captured and presented ! Sweet shot - hope you see spring soon. Our autumn days are just now starting to turn cold - winter not far away! Beautiful shot. We are having similar weather here and Spring's beauty is slow to arrive this year. What a contrast to the scene of cars falling into the sinkhole yesterday, that was on the news! The deluge of rain must have caused lots of damage. A wonderful work with the framing enhancing the yellow flowers and at the same time showing their beautiful environment. Pretty spring blooms and variety ~ lovely capture! 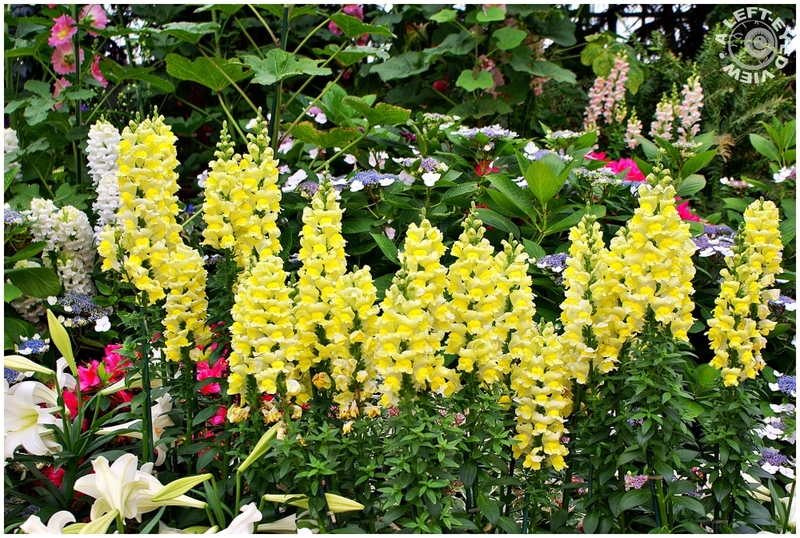 what a wonderful fall greeting .... these snapdragons are gorgeous !!! I love your portfolio. Beautiful work. I look forward to following your blog. Beautiful photo of this fascinating flowers .. the colors are just wonderful !! !